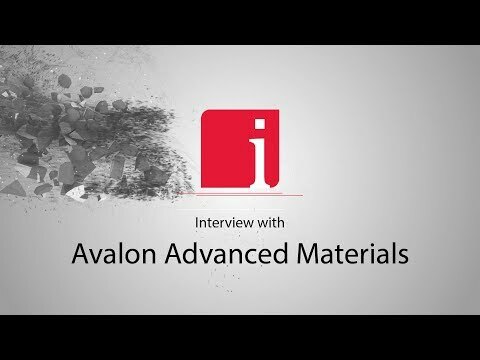 April 2, 2019 (Source) — Avalon Advanced Materials Inc. (TSX: AVL) (OTCQB: AVLNF) (“Avalon” or the “Company”) is pleased to report on progress made over the past quarter on all three of its advanced critical materials development projects in Canada. Significant progress, as described below, has been made towards the goal of achieving near-term, small-scale production on each of the Nechalacho Rare Earth Elements Project, East Kemptville Tin-Indium Project, and Separation Rapids Lithium Project. Demand for rare earth elements, lithium minerals, tin and other critical materials are all growing at rates exceeding the rate of growth in new supply, creating opportunities for new producers to emerge and fill looming supply deficits. The ability to bring these new supplies to emerging markets quickly is key to taking advantage of the opportunities. Small-scale initial development facilitates achieving that goal, while also accommodating future growth in production capacity. As disclosed in the Company’s news release dated January 30, 2019, Avalon signed a binding Terms Sheet with Cheetah Resources Pty Ltd. (“Cheetah”) under which Cheetah will acquire ownership of the near-surface rare earth resources in the T-Zone and Tardiff Zones for a total cash consideration of C$5 million. Avalon President & CEO, Don Bubar recently visited Yellowknife and the Nechalacho site with Cheetah’s Managing Director, Geoff Atkins, in order to meet with local government officials, Indigenous leaders, businesses and the media. Considerable interest was expressed by these parties in the Company’s small-scale rare earth development model for its minimal environmental impact and for the commercial opportunities it will provide for local Indigenous business. Cheetah and Avalon are now working on finalizing the formal acquisition agreement and a detailed work program and budget, to be funded by Cheetah, and executed over the next 12 months. The goal is to complete the permitting process in parallel with this work so that production can be initiated in 2020. Central to achieving this goal is confirming the appropriate ore-sorting technology to be applied to the simple bastnaesite-quartz mineralogy of the T-Zone rare earth mineral resources to sustainably extract neodymium and praseodymium (“Nd-Pr”). This work is now in progress and the summer work program will include a diamond drilling program to confirm the resource along with further testwork on defining the optimal rare earth extraction process for the T-Zone rare earth (bastnaesite) mineral concentrates. In the meantime, demand for Nd-Pr, the rare earths needed in the permanent magnet applications for electric vehicles, continues to grow while supply sources remain limited outside China. China is now reportedly a net importer of rare earth concentrates. The market for lithium minerals to serve the glass and ceramics industry is experiencing supply shortages, particularly for petalite: the principal lithium mineral contained in the Separation Rapids resource and in Avalon’s nearby Snowbank Pegmatite discovery. This has created new opportunities to attract development partners that are interested in Avalon’s petalite product. Discussions have recently accelerated with several parties. Accordingly, the Company is now beginning to make plans for extraction of up to a 5,000 tonne bulk sample this summer for trial processing to recover larger quantities of the petalite product for customer evaluation and process flowsheet optimization. As discussed in Avalon’s news release dated September 17, 2018, the Company is working with Cronimet Mining Processing SA (Pty) Ltd (“CMPSA”) to investigate the benefits of applying sensor-based ore-sorting technology at East Kemptville. In January 2019, CMPSA and Avalon extracted a 28 tonne bulk sample of the stockpiled tin mineralization. The sample is now en route to a pilot scale process plant in Europe for the purpose of optimizing the ore-sorting process and bringing equipment design to a feasibility study level of confidence. This program is expected to be completed in June. Most of the remaining environmental assessment and permitting work, as well as the agreement on the transfer of the surface tenure from the surface rights holder, are also expected to be completed in June, potentially allowing for initial site work to begin this summer. Community engagement with the Acadia First Nation, along with formal consultation with the Assembly of Nova Scotia Mi’kmaq Chiefs, continued with a site visit by Council members in January to witness the bulk sampling work in progress. Discussions toward concluding an MOU and partnership agreement are advancing rapidly. Tin was trading at around US$21,350/mt on the LME last week, with stocks down to just over 1,000 tonnes reflecting strong demand. According to the International Tin Association, increased use of tin in electric vehicles, including lithium ion battery technology, could generate additional demand for tin of up to 60,000 tonnes per year by 2030, representing a significant increase from 2018 global usage of about 360,000 tonnes. New supply sources of conflict-free tin will be needed to meet this new demand. This news release contains “forward-looking statements” within the meaning of the United States Private Securities Litigation Reform Act of 1995 and applicable Canadian securities legislation. Forward-looking statements include, but are not limited to statements about supply and demand for rare earth elements, lithium minerals, tin and other critical materials, that ability to bring these new supplies to emerging markets quickly is key to taking advantage of the opportunities, that small-scale initial development facilities will achieve that goal, while also accommodating future growth in production capacity, that production can be initiated in 2020 and central to achieving this goal is confirming the appropriate ore-sorting technology, that the summer work program will include a diamond drilling program, that the Company is now beginning to make plans for extraction of up to a 5,000 tonne bulk sample this summer for trial processing to recover larger quantities of the petalite product for customer evaluation and process flowsheet optimization, that the ore-sorting program is expected to be completed in June, and that most of the remaining environmental assessment and permitting work, as well as the agreement on the transfer of the surface tenure from the surface rights holder, are also expected to be completed in June, potentially allowing for initial site work to begin this summer. Generally, these forward-looking statements can be identified by the use of forward-looking terminology such as “potential”, “scheduled”, “anticipates”, “continues”, “expects” or “does not expect”, “is expected”, “scheduled”, “targeted”, “planned”, or “believes”, or variations of such words and phrases or state that certain actions, events or results “may”, “could”, “would”, “might” or “will be” or “will not be” taken, reached or result, “will occur” or “be achieved”. Forward-looking statements are subject to known and unknown risks, uncertainties and other factors that may cause the actual results, level of activity, performance or achievements of Avalon to be materially different from those expressed or implied by such forward-looking statements. Forward-looking statements are based on assumptions management believes to be reasonable at the time such statements are made. Although Avalon has attempted to identify important factors that could cause actual results to differ materially from those contained in forward-looking statements, there may be other factors that cause results not to be as anticipated, estimated or intended. Factors that may cause actual results to differ materially from expected results described in forward-looking statements include, but are not limited to market conditions, and the possibility of cost overruns or unanticipated costs and expenses as well as those risk factors set out in the Company’s current Annual Information Form, Management’s Discussion and Analysis and other disclosure documents available under the Company’s profile at www.SEDAR.com. There can be no assurance that such statements will prove to be accurate, as actual results and future events could differ materially from those anticipated in such statements. Such forward-looking statements have been provided for the purpose of assisting investors in understanding the Company’s plans and objectives and may not be appropriate for other purposes. Accordingly, readers should not place undue reliance on forward-looking statements. Avalon does not undertake to update any forward-looking statements that are contained herein, except in accordance with applicable securities laws.